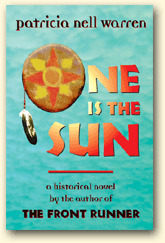 One is the Sun is a Sacred Passage for children, women, men and generations. The historical accuracy and clarity is amazing. One is the Sun guides the reader from the Mayan surrender to the enduring lessons of finding families again. Deeply insightful, playful and endearing!! Make this your book today!